Patti Foster’s life is a testament to the intense love she has for others. Her joy and laughter refresh those around her, and she welcomes opportunities to influence lives through her motto: M.A.D. Now! – Make A Difference Now! She has traveled with a fine arts team to Australia, toured with the university choir to the British Isles and spent a week in the heart of Mexico with a mission group. Performances with the Fort Worth Chamber Orchestra and the Sam Houston State University Orchestra further broadened her scope of music and expression. Since 1990, Patti has been in media – a voice-over talent and radio personality for various Christian stations in Texas/Louisiana and Indiana/Michigan. On June 18, 2002, Patti’s life came to an abrupt halt! A tractor-trailer rig, going 67mph and pulling a trailer full of cars, barreled into the back of their stopped Tahoe. Patti was ejected and suffered multiple bodily injuries along with a horrific severe brain injury. One of her friends died in the crash as Patti’s body lay in a coma for 6 weeks. Patti is an urgent advocate of brain injury. She has written her own raw story, COPING with TRAUMATIC BRAIN INJURY: One Woman’s Journey from Death to Life, available as a paperback, eBook, and audio on her website. Plus she has been invited to write her miraculous brain injury story in numerous paperback books, as well as an audiobook. She serves as Vice President of Hope After Brain Injury and was selected to the Texas Brain Injury Advisory Council (TBIAC) and is a Committee Chairperson. Patti is also a member of the North Texas TBI Model System Advisory Council, serves on the BIAA-Texas Division Strategic Planning Committee, and travels often as a speaker for Mothers Against Drunk Driving (MADD). Inspire Others To Hope… How? Encourage others…and remember, small things can make a massive difference! Since 1990, Patti’s focus has been radio. She was the morning show host at WFRN, an inspirational Christian radio station broadcasting in Indiana/Michigan. Before then, she was the afternoon show host at KVNE/KGLY covering Texas/Louisiana. Throughout it all, she continued to be a voice talent in the USA and abroad. 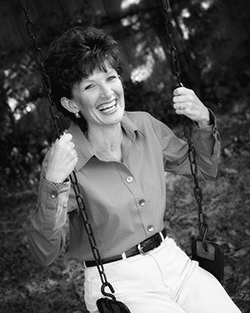 On June 18, 2002, Patti was severely injured in a horrific traffic wreck. She suffered traumatic brain injury and was in a coma for six weeks…her life hung in the balance. From how to eat to once again being able to recognize and remember the people she loved, Patti had to re-learn everything. And now, as her restoration process continues, Patti’s heartbeat is still to inspire and bring hope to others through her speaking, writing, and living her life moment by moment. Sure, there are hundreds of speakers to choose from, and you probably don’t know much about any of them. I can relate. So what do I have to offer? Give me 60 seconds and you’ll see. Having spent the majority of my professional life as a radio personality in Texas and the Midwest, I’ve learned the importance of good communication—effective communication, to be exact. (It’s not so much what you say, but what people hear!) Radio has given me opportunities to reach beyond class lines and touch lives, regardless of race, denomination, culture or gender. Whether on the tennis court or on the fairway, in a crowd or at home with family, on stage or on air—I give all I have to whatever I pursue. Making a difference is what life is all about. Click here to become a fan of Patti Foster and write book reviews at NewReleaseTuesday.com. I believe the Bible to be the inspired, the only infallible, authoritative Word of God. I believe that there is one God, eternally existent in three Persons: Father, Son and Holy Spirit. "Funny, but also based on experience as a survivor"